Bally Wulff is a German-based games developer who also has interests in the wider leisure sector, but it is aiming to grow its online gaming side to cover titles on a number of platforms. The main market for Bally Wulff is its German home, as well as having an extensive focus on the Italian and Spanish sectors. The business has a large stock of gaming titles, including some of the most up to date cash gaming machines available. Click here to read more. Bally Wulff was founded in 1950 and since 2008 it has been in the SCHMIDT Group. It has 12 offices across the country and employs around 280 people, with its headquarters in Berlin. The company still remains a land-based games developer, alongside the impressive package of software titles that it has to offer. It has created a number of different game portals to provide a solution for the various requirements of both players and casinos. This includes slanted widescreen machines that have extra top screens, wall mounted multi-screen machines and slim-line machines. These units are capable of being loaded with any number of games packages that feature a range of elements, including auto start and quick spin. 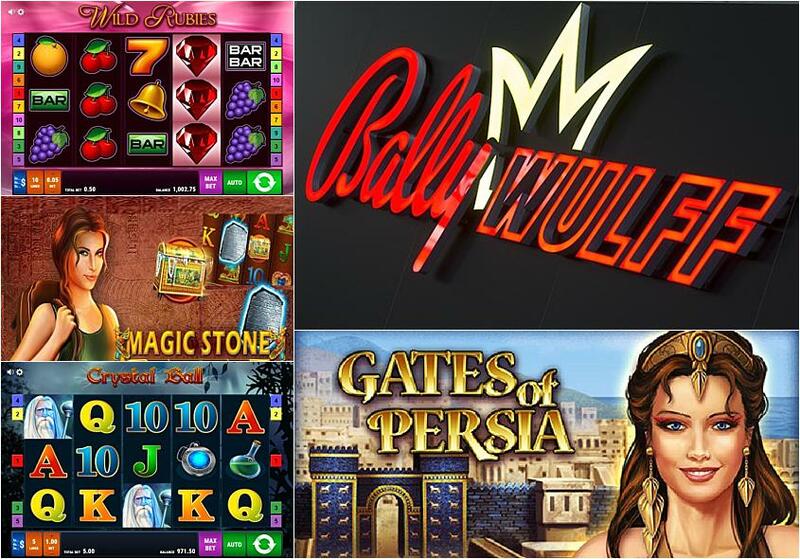 Bally Wulff started life as a developer of land-based casino machines, but it understood that it needed to change its offering in order to meet the demands of a new generation of online players. It has gone on to develop a number of impressive titles for some of the most well known online casinos in the world. The sites that it works with include those that have a very German focus, as well as those regulated by the Malta Gaming Authority and the UK Gambling Commission, that have more of an international audience. The retro slots include Fruit Mania, Sticky Diamonds and Fancy Fruits and they can offer simple 5 payline games through to those slots with bonus features, like Wilds and free spins, which play across 10 paylines. The exploding bomb icon in Explodiac has to be one of the most exciting features, as it turns adjacent reels into Wilds. When it comes to themed video slots, Bally Wulff covers a number of historical and fantasy themes, that bring the whole experience to life for players. For instance, Crystal Ball and Magic Book both involve mystical elements, featuring spells, wizards and enchantments. Its historical themes include Medieval Arabia for 40 Thieves, and Roman Legion, which is based in Ancient Rome, whilst Ramses Book takes players on a journey through Hellenistic Egypt. Bally Wulff creates online games with plenty of ways to win, including bonus features and gamble games, so players can increase their rewards. With extensive experience in the industry, it develops games that players can enjoy across both land-based and online casinos. Its transition to more online packages means that players across the globe can begin to benefit from this expertise.